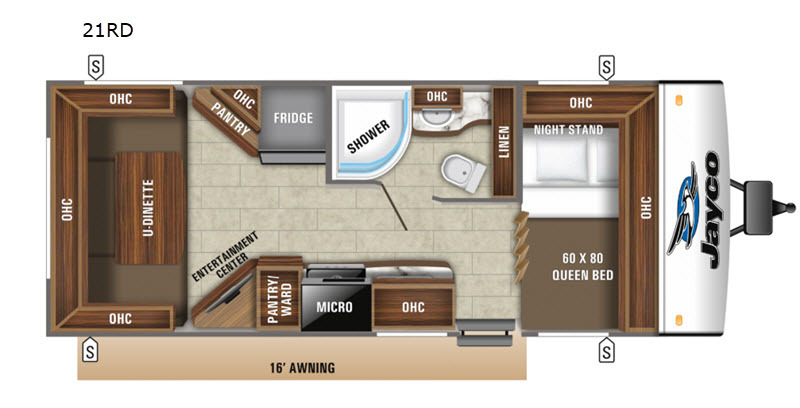 Been searching for a smaller travel trailer that is easy to store yet full of features? 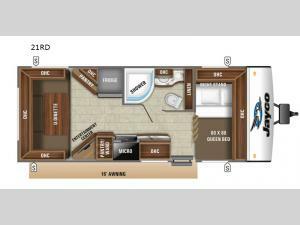 This Jay Feather 21RD will have you daydreaming about all the places you can travel with your favorite person, plus includes extra sleeping space on the u-shaped dinette when needed. Just imagine cooking meals inside with full amenities, playing cards after dinner at the dinette, and getting cleaned up before bedtime in the full bath that includes a shower skylight. You will have plenty of storage throughout the interior, and exterior storage as well. Take a look today!